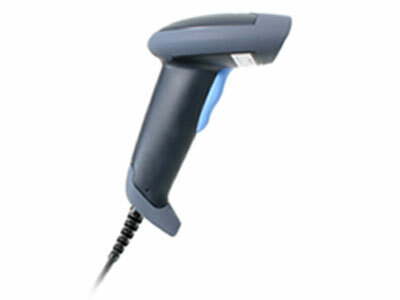 The Unitech MS830 barcode scanner offers aggressive laser scanning in a comfortable form factor. Ideal for high demand data entry tasks such as manufacturing, warehouse inventory management, or medium volume retail, the MS830´s reliable design will keep operations running smoothly. The laser scan engine in the MS830 provides a scan range of contact to up to 25" inches, making it easy to get reads quickly and efficiently. A top scanning speed of 35 scans per second keeps the scanner reading even in the higher volume scanning situations you see at larger retailers. Unitech built the MS830 to hold up to rougher retail environments. The reinforced body can withstand drops of 5 feet to concrete, protecting it from the accidental drops or knocks off a counter that may occur in a retail setting. 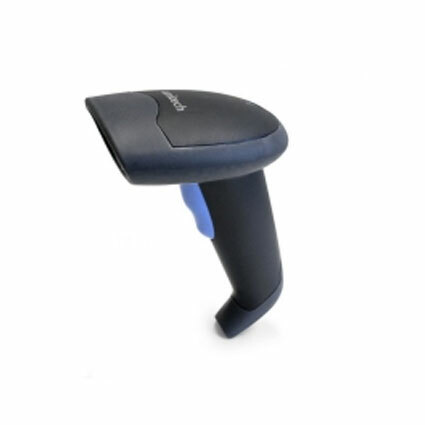 Shipping with a 3-year warranty, the Unitech MS830 barcode scanner will keep your business running smoothly for countless years. • Dimensions (W x D x H): 2.94" x 4.86" x 6.94"
• Decode Range: Up to 25"